No trip to Taiwan is complete without visiting its well-known night markets. 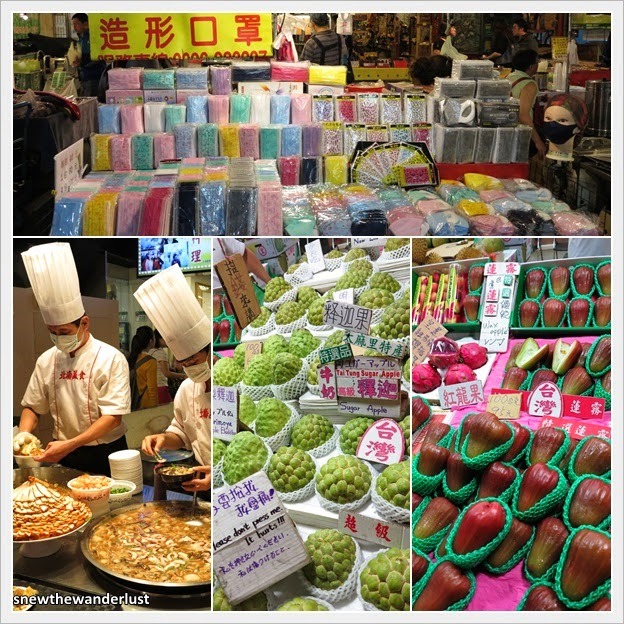 There are a number of night markets in Taipei and we visited three popular ones. 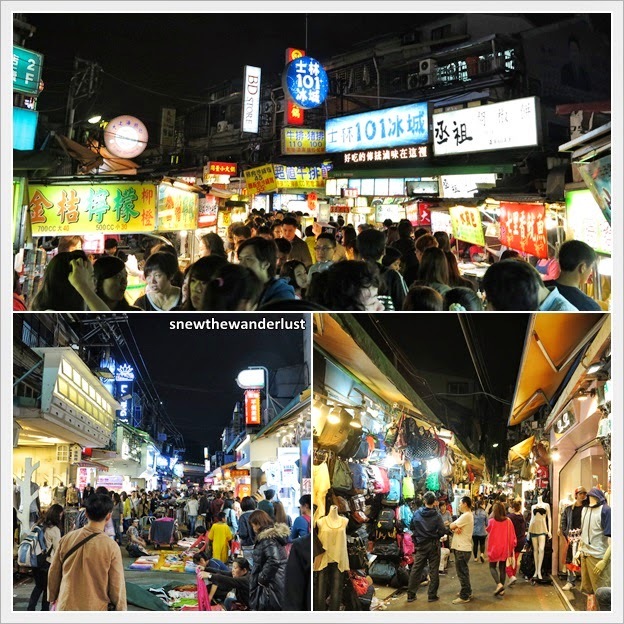 The most popular, largest, and where most tourists go is Shilin Night Market. The place has been revamped the last few years and it now has a 2-storey sheltered or roofed building featuring shops and food street. This is meant for tourists, I mean particularly those from tour groups. This part is just directly opposite the Jiantan MRT Station. I would opt to go for the non-sheltered market, which is further up north, just 3 minutes walk up. This is a bigger area where the locals visit. You find a younger crowd at this area as well. No trip to Shilin is complete without the fame chicken cutlet - 毫大大鸡排. However, there are so many other options of fried chicken which taste just as delicious. I would say that Shida is less of the typical Taiwanese night market. It is definitely smaller than Shilin Night Market and has a distinguished character. As Shida Night Market is located near two universities - Shida 师大 and Taida 台大, hence, this night is packed with university students and young people. 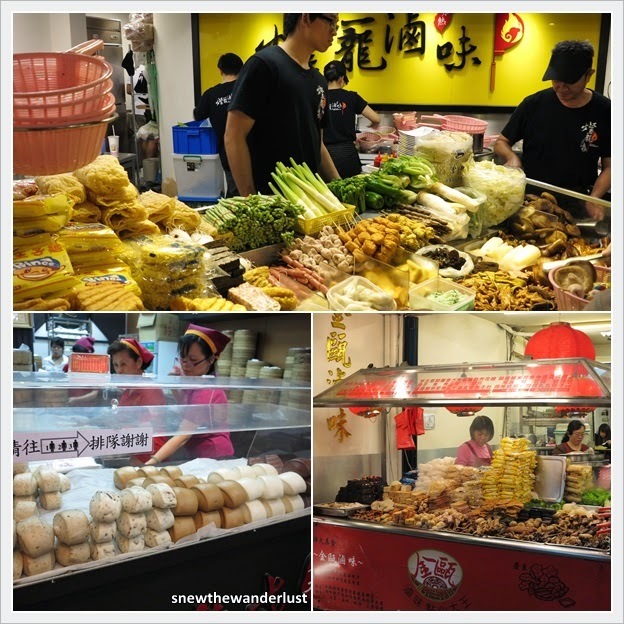 Rather than hawker stall style, you find the stalls here are more organised and most have a shop space. There are a number of shops selling nice fashion for the young. I bought a dress here, and this was the only piece of clothing I manage to buy in Taipei. Wufenpu was such a disappointment for me. Take the green line to Taipower Building MRT Station, Exit 3 and walk for about 5 minutes. Raohe Night Market is another famous night market for tourists. It is much smaller than Shilin Night Market, but it is probably one of the cleanest, most organised night market. 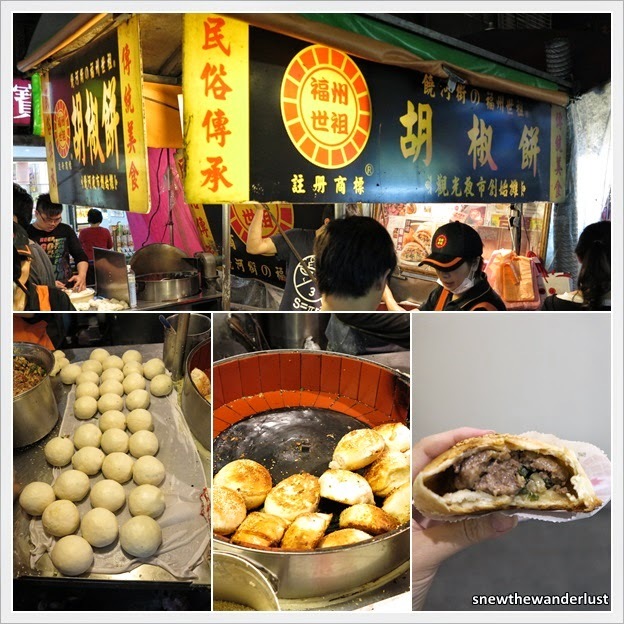 As you enter the night market, you will see the pepper meat bun, known as 胡椒饼. You can't miss this stall there's always a queue right at the entrance. 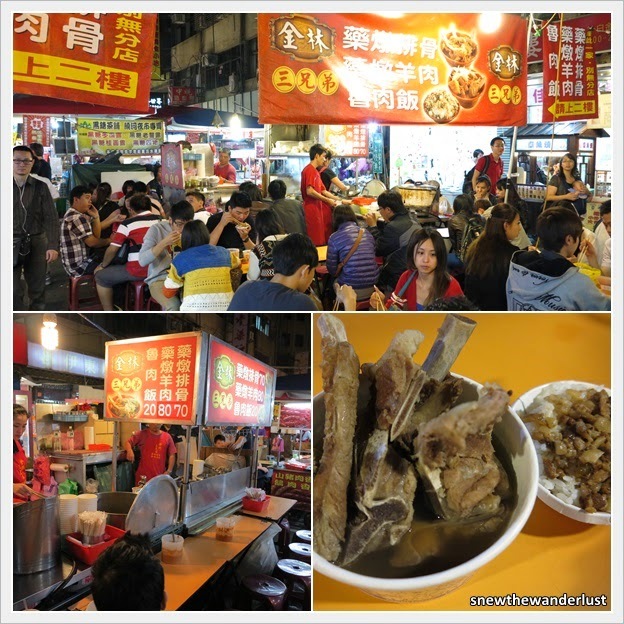 The "must try" in Raohe Night Market, is the Pork Rib Soup - 藥燉排骨. So far, I only see this available at this night market. It's like Taiwanese version of Bak Ku Teh (BKT). However, the taste of the herbs is pretty strong and people go more for the ribs, then the soup. I don't think you can top up the soup like you do in Singapore. Anyway, one bowl of pork rib soup cost NT70 (S$3). Very reasonable compared to a bowl of BKT in Singapore. The other interesting shops that I came across here are the handphone accessories, shops selling different types of masks and fruits. The fruits at this particular stall really look fresh and yummy! Raohe Night Market, although smaller in scale, but definitely worth a visit as it offers quality experience and products not commonly found in other night markets. Take the train (not MRT) to Songshan Station. Don't mix this up with MRT. 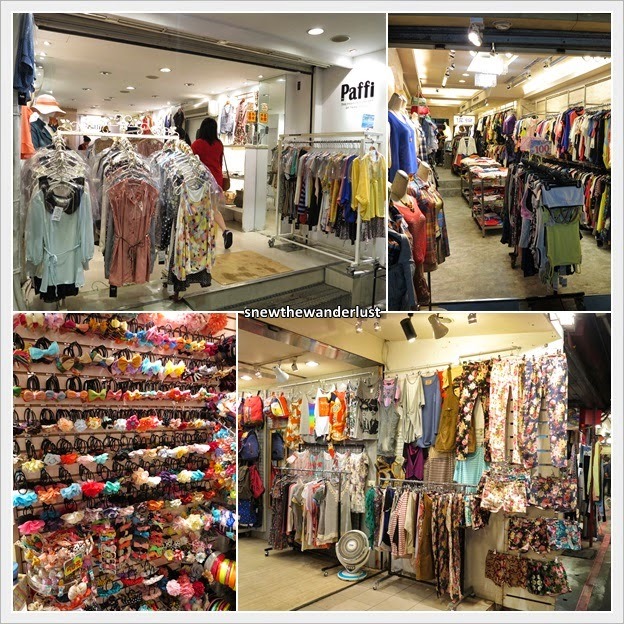 This area is also a 10-15minutes walk from the Wufenpu, which is the wholesale market for clothes.